What a lot is going on at Old Friends! Our former Merefield residents have been moving to their new homes. Some are settling in at our satellite locations—that is, farms we have relationships with, where we lease or are donated the facilities for their comfort and good health. Others have moved to Dream Chase, our main farm in Georgetown. Every time I go to the farm I look to see who has arrived. In fact, that’s why it’s taken me so long to make this post. I kept waiting to hear that all who are coming to the main farm have arrived. Then I would announce all the newcomers and returning friends who are now waiting to greet visitors. 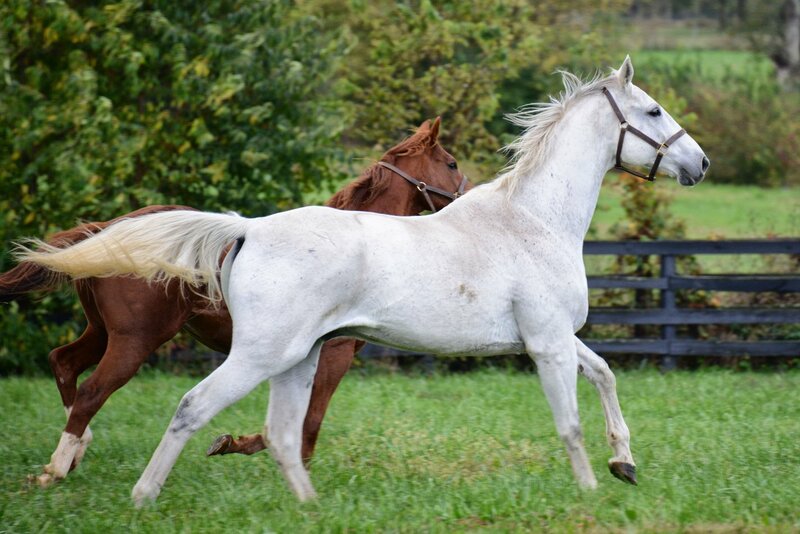 But since there may be a few moves yet to be made, instead of a final list I’ll mention some of the wonderful horses now available for visits and carrots at our Kentucky farm. Some will be new friends to many visitors. Others bring chances for happy reunions. 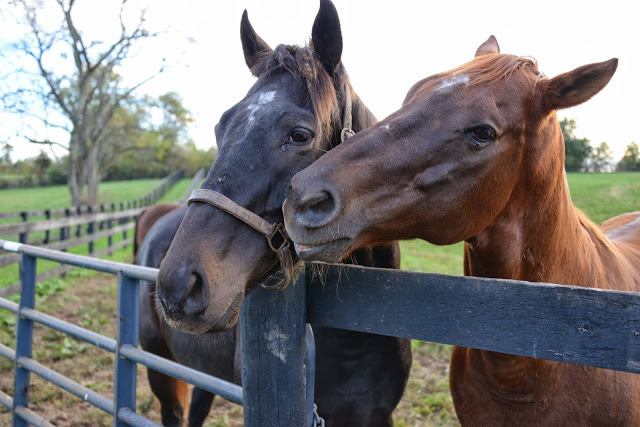 Of course, regular favorites Gulch, Clever Allemont, Ogygian, Bull Inthe Heather, Sunshine Forever, Hidden Lake, Tinners Way, Patton, Little Silver Charm are all here…If you’re wondering if a favorite horse of yours is still here to greet you, the answer is yes. All those who’ve been on the tours lately are still here and they’ll enjoy your visits and carrots too! 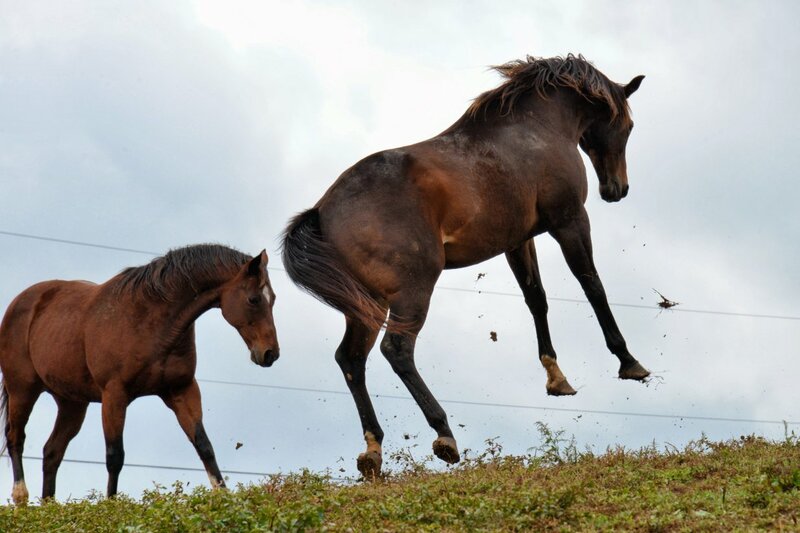 Our horses have also been enjoying the crisp fall weather. Here are a few pictures that say it all. 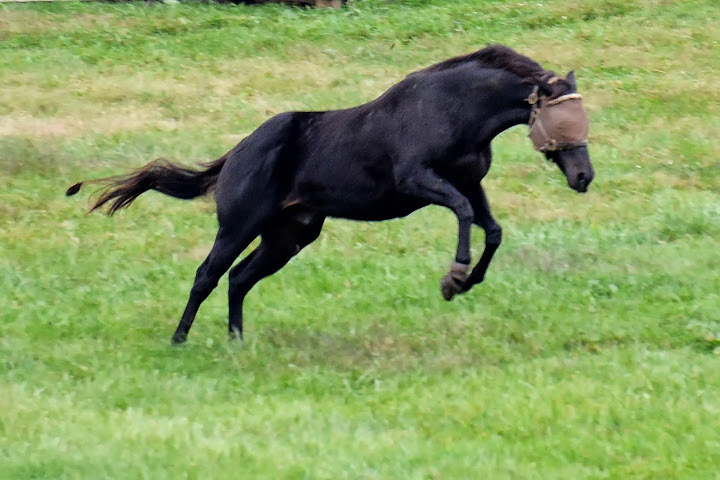 Belmont winner Sarava leaps for joy. By the way, the summer fly masks are coming off now. 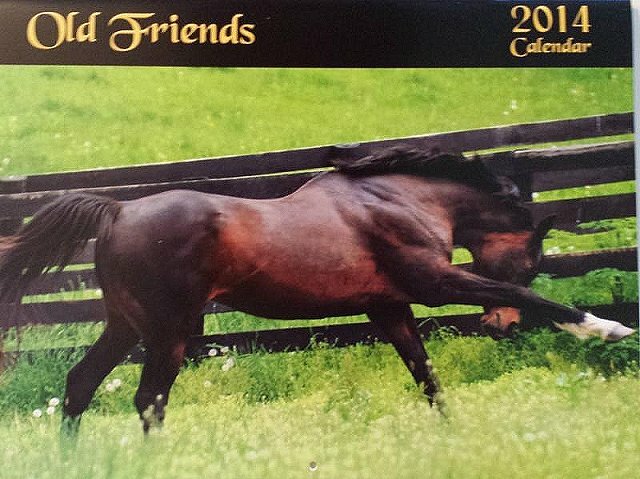 Finally, the 2014 Calendars are now available! Click here to get yours at ebay or phone 502-863-1775. They’re $28 by mail or $25 at our gift shop and they’re BEAUTIFUL. Swan’s Way on the calendar front. Go Swannie, go!